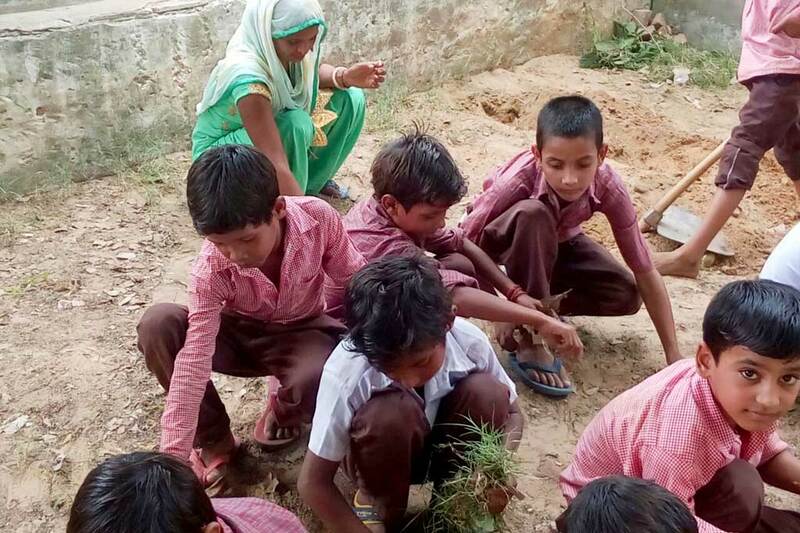 In Kanti, Haryana, children have now immersed themselves in planting a kitchen garden at their school. The practice is becoming commonplace across our villages. Bringing the idea of connecting with nature as an official class is a way to revive humankind’s relationship to Mother Earth. In fact around the world, the practice of teaching kitchen gardening at school is an increasingly popular way to promote environmental and sustainability learning. It also connects the children with healthy food and lifestyles. Over the next few weeks, we shall start to see what vegetables come as a result. Stay tuned.